While Walker and Arce trekked a mile from their flooded neighborhood to work, firefighters continued rescuing residents from their homes on June 20 — a day that caused upheaval in the city. It was a traumatic repeat for some residents who saw similar flooding three years prior. The weeks and months following the flood were taxing for city administration, who were criticized during meetings by some residents whose homes were damaged by the natural disaster. Others tapped into the power of social media to advance discontent with city staff and the city commission. 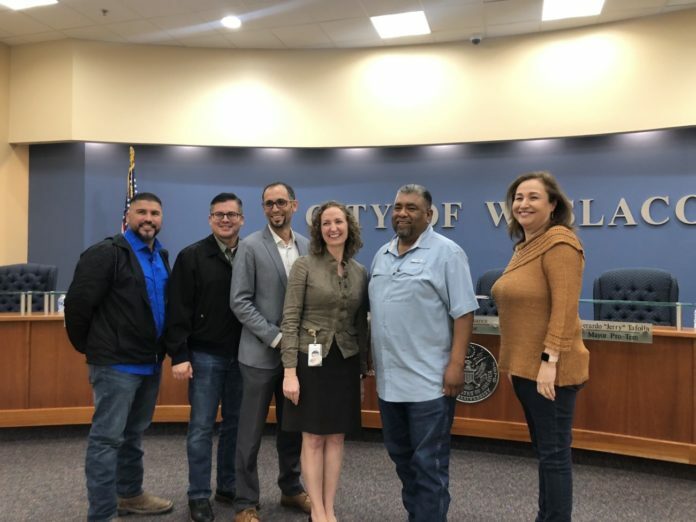 Walker and Arce left Weslaco City Hall in October and August, respectively, taking about 16 years of experience shared between them to local governments in Cameron County. Out of the 11 city department heads working as key administrative officials under Weslaco City Manager Mike Perez, four have left since August, including Walker and Arce. In September, Maria Barrera, the city’s finance director, retired after heading the department for three years. “In my eighteen years as finance director, I have never worked in an environment where all departments, from management to peers to staff, all worked so positively and diligently together for the betterment of the community,” Barrera wrote in a letter to the city manager. A month later, Mardoqueo Hinojosa, the city engineer and planning director, also resigned. The flood’s aftermath has not been directly attributed to their departures. Walker took a job with the city of South Padre Island, working in the shoreline management department. Often conversing with inquiring citizens and welcoming those walking into city hall, her absence left a void at city hall. Walker, raised in Boston and a graduate of Baylor University, moved to the Rio Grande Valley as part of the AmeriCorps program, and eventually served as executive vice president for the Rio Grande Valley Partnership. “I chose this place, the whole world over. I made this my home, and that’s because it’s extraordinary,” Walker said of Weslaco. She began her municipal government career as a city planner before becoming an executive assistant to the city manager. “I appreciate very much the sacred trust this community imparted to me nearly a decade to live in it and serve in it,” Walker wrote in her resignation notice sent to Perez. As city secretary, Walker and department employees she oversaw maintained city records, including city commission minutes, and responded to public information requests. She also served as the city’s elections administrator. In 2014, Walker served as interim city manager for about a month after the city commission fired former Weslaco City Manager Leo Olivares. In March, the FBI served the city with a subpoena, demanding that Walker, the city’s record keeper, hand over city commission records, including minutes and video recordings, and conflict disclosure statements submitted by current and past commissioners and mayors from January 2009 to April 2018. Ordered by federal authorities to keep the subpoena secret, Walker spent nights and weekends gathering the subpoenaed information, which was turned over to a federal grand jury in April at the federal courthouse in McAllen. Unsurprisingly, Walker did not speak to The Monitor about the subpoena until the Texas Attorney General’s Office ruled in favor of releasing the document to the newspaper under the Texas Public Information Act. Transcending her role as city secretary, colleagues and others took note of Walker’s by-the-book and meticulous work ethic. For Hinojosa, a higher paying job as city engineer for the city of Edinburg caught this eye. Hinojosa also managed the planning department in Weslaco for about five-and-a-half years. “Professionally, it made sense to make the move,” he said, adding he was “very sad to leave” Weslaco, where he oversaw mapping of the city’s infrastructure system, including its valves, waterlines, storm drains and manholes, among other engineering projects. The map of the infrastructure assists incoming employees who no longer have to rely on institutional knowledge, he said. Hinojosa worked under Perez’s leadership for about four years. “That was probably one of the greatest things that happened to me, and I think Elizabeth (Walker) and David (Arce) can pretty much attest to the same thing,” Hinojosa said. Arce, a Weslaco native, decided to resign from the city he “never saw” himself leaving. Offered a job as assistant parks and recreation director in Harlingen, the new position also comes with an increase in pay and opportunity to rise through the ranks. “At some point, it’s a career move for everybody,” Arce said. During his about five-and-a-half year tenure in Weslaco, its parks and recreational activities grew. 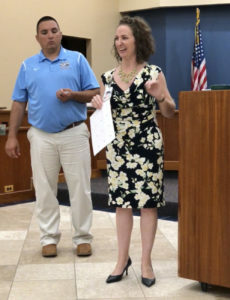 The city added a splash pad, walking trails, new playgrounds, a dog park, shade structures, a disc golf course and an ordinance requiring the allocation of funding for park improvements. Since losing four department heads with nearly 40 years of municipal government experience shared between them, the city manager has filled two positions. “It’s going to be a lot of work here for the next six months or longer,” Perez said in October. 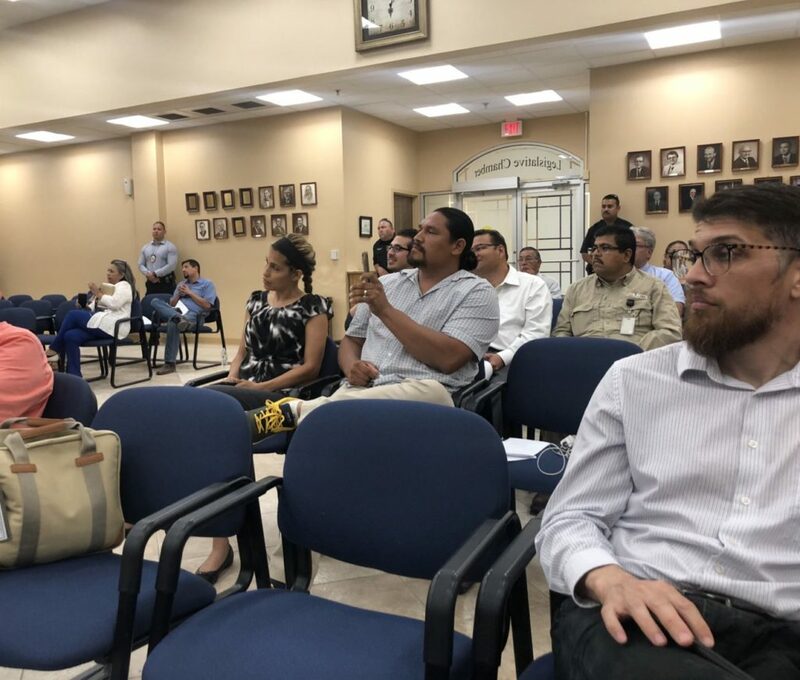 Last month, Perez hired Omar Rodriguez, McAllen’s former convention center and performing arts center director, to head the parks and recreation department in Weslaco. Yvette Mendoza, who most recently worked for the city of Alamo, has been named finance director. “Anytime you lose key staff members, when you don’t have a bench, when you don’t have an assistant you can go through, it’s going to cost you,” Perez said. Perez, one of the longest-serving city managers in the region, is now left recruiting two more city leaders for the city secretary and city engineer positions. Israel Coronado, who runs the Facebook page “Make Weslaco Drain Again” created after the flood, called on Perez to resign in July. 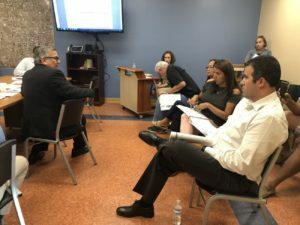 The conversation eventually died down and commissioners, at least a majority, signaled that they were satisfied with Perez. If the commission had fired Perez or asked him to resign, he would have taken about 40 years of municipal government experience with him, adding to the decades of knowledge that has walked out the door since August. Correction: The former city of Weslaco finance director headed the department for three of her 18 years as a finance director.